Continuing professional development opens doors and transforms lives. Individuals are often pressured to balance work commitments, responsibilities and goals with personal obligations and desires such as parenting, friends, recreational activities. Life can become even more complicated when continuing professional development is thrown into the mix. PEOPLECERT understands that professionals lead hectic lives and has taken steps to reduce stress by offering online proctored exams that can be taken almost anywhere, at any time. Flexible enough for individuals who travel or work unusual hours, online proctoring is perfect for candidates who study or live abroad. A key benefit to taking a Lean IT exam via PEOPLECERT’s online proctoring service is that individuals sit an exam when they are ready, and not when an exam room or test centre has availability. This also accommodates organisations that upskill staff, as they are spared the expense of coordinating group exams and losing IT employees during business hours to sit the exams. Online proctored exams are typically taken in quiet and distraction-free locations such as a candidate’s home or office. Some candidates are known to have taken exams in airport lounges while in transit, hotels and even in exotic destinations when traveling for work or pleasure! An additional benefit is that candidates can book their exam a mere 4 hours before the exam. All that is required is a PC or Mac computer, internet connection and a webcam. The exam takes place with the help of an online proctor (invigilator) who guides candidates through the overall session. Candidates are observed via webcam and spoken to via the computer’s speakers. There is no requirement to dial in to any telephone number. Online proctors inspect the room where the test takes place and ensures that the necessary processes are followed. Using advanced methods to monitor candidates, PEOPLECERT uses proprietary technology to lock down a candidate’s computer and block all programmes that could be used for unfair advantage or cheating. Sophisticated software also monitors suspicious activity, such as unusual keystroke patterns and eye movement. Positive ID verification is a strict requirement for all online-proctored exams. The IDs are captured via the webcam and stored as a part of the candidate’s file. Upon completion of the exam, candidates get the preliminary results immediately. The official results are published within two days and candidates can then access, view and download their e-certificate through their PEOPLECERT profile. Integrity, convenience, reliability, global reach and candidate satisfaction are principles integral to PEOPLECERT. Online proctoring is gaining more popularity worldwide and is increasingly being recognised as a service that accommodates even the most demanding of lifestyles. 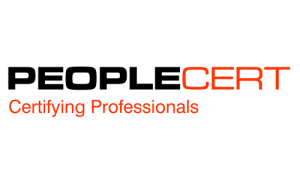 PEOPLECERT is a global leader in assessment and certification of professional skills, partnering with multinational organisations and government bodies for the development and delivery of standardised exams. Delivering exams across 156 countries and in 24 languages over its state-of-the-art assessment technology, PEOPLECERT enables professionals to boost their careers and realise their life ambitions.